One of the problems I have with this blog is that, even when circumstances come up that delay me from posting, I’m usually still cooking. That means, when I do get the chance to sit down and write about what I’ve cooked, I’m often left with several pictures of food that looks good that I vaguely remember making and don’t really remember eating. But, I hate just deleting all these pictures and hope that some day I might have a spontaneous memory that pops up. By posting about these forgotten meals here, I hope to give my future self a record of what I cooked. 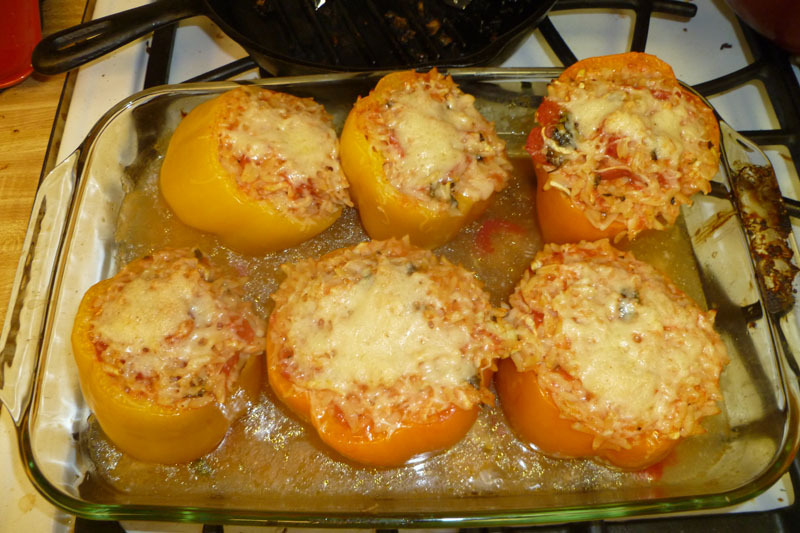 Anyway, above you can see the finished product of my attempt at making Giada De Laurentiis’ Orzo Stuffed Peppers. I want to say that we enjoyed this meal and from looking at the recipe, it doesn’t look too difficult to put together. I like that she mixed it up with this one and included mint and orzo, which I’ve also used when making food in my wok instead of rice. This isn’t the first of De Laurentiis’ stuffed pepper recipes I’ve tried, I’m a big fan of her Couscous-Stuffed Peppers With Basil Sauce, which I’ve made a few times now. 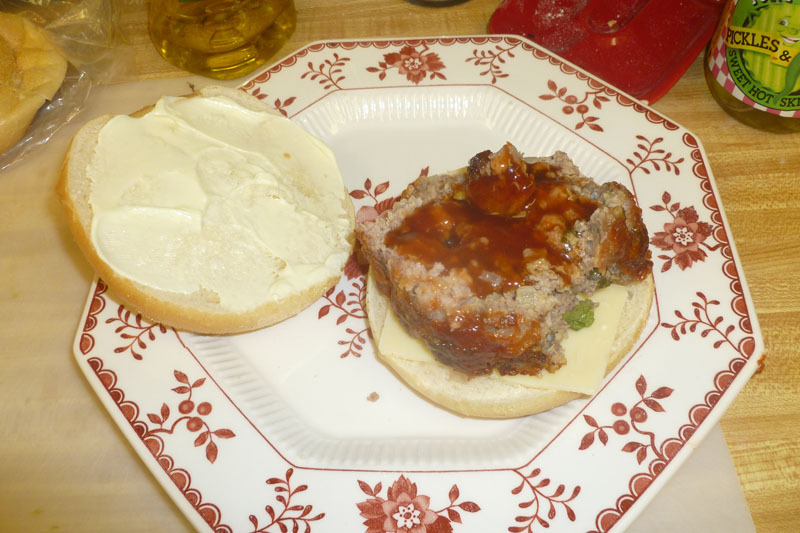 Here you can see my attempt at making Jeff Mauro’s All-American Down-Home Patriotic Meatloaf Sandwich which, again, I want to say turned out well. You basically make a meatloaf and a sauce and combine the two on bread with cheese and pickles (I went with dills because bread & butter pickles gross me out). I also tossed on some mayo because it’s not really a sammich without mayo. I want to reiterate that I haven’t forgotten about these dishes because they were bad, I would have definitely remembered something bad, it’s just that my memory — especially my taste memory — fades more the longer away I get from something unless it was mind-blowingly amazing.